It looks like Marines thought Austin Powers’ nemesis, Dr. Evil, was onto something when he said he wanted some sharks with laser beams attached to their heads. The Corps’ call for laser weaponry came from I Marine Expeditionary Force (Forward) for use in Iraq — just on an Osprey instead of a shark. Still, the feds want to know who the source is. The Naval Criminal Investigative Service has contacted Danger Room and its attorneys several times over six months regarding an investigation into the five-year-old leak. But it’s all over a weapon that doesn’t even exist. 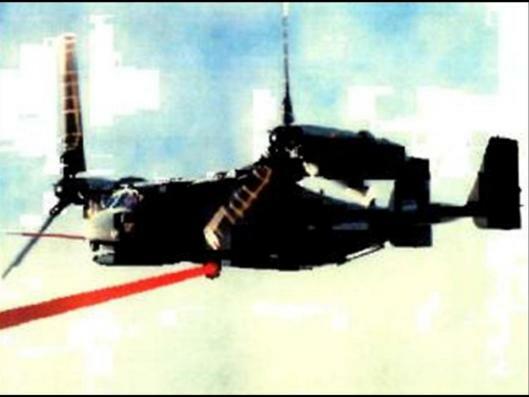 Danger Room referred to the Marine Corps’ request for laser weapon “almost comically over-the-top” as it includes photoshopped images of a V-22 Osprey tiltrotor aircraft with a laser, and pictures with gun sights over insurgents’ heads, demonstrating how the energy weapon could take out a single person. The document-type labeled the need for this weapon as urgent. 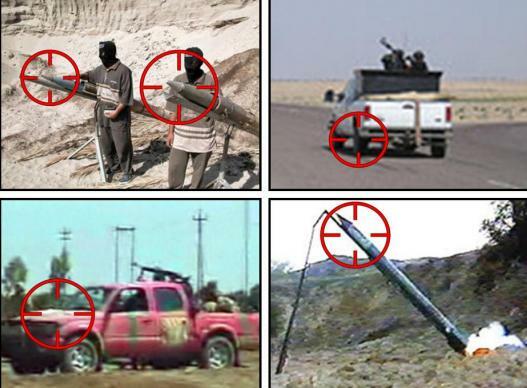 The document was posted on Wired’s site years ago, along with many requests for new weapons and technology coming out of Iraq. As reported, not everything troops requested was this extreme. Another urgent-need document called for bomb-resistant trucks — a practical request when the enemy plants improvised explosive devises all over the place. What the tech blog is asking though is why the government is investigating the leak of a weapon that doesn’t even exist five years after the fact. Is it a counterintelligence issue? Pretty funny stuff – I think Dr Evil’s idea with sharks with laser beams attached to their heads is much more realistic.